Mississauga, Ont., native Chloe Currie carded a 4-over-par 76 in the second round of the Investors Group Ontario Women’s Amateur to sit T4 through 36 holes at Galt Country Club in Cambridge, Ont. The 17-year-old had had a triple bogey on hole No. 3 but rebounded well with three birdies and four bogeys in the rest of her round to finish at 5 over par, seven shots back of leader Madeline Marck-Sherk (Ridgeway, Ont.). Marck-Sherk carded a 1-under-par 71 in round two – the only under par round of the day – to move into first place at 2 under par. Currie, 17, is in her second year on the Team Canada Development Squad. She was T5 at the 2017 Future Links driven by Acura Ontario Championship earlier this year. Mitchell, Ont., native Courtney Tolton is in solo second at 2 over par after carding a 1-over-par 73 for the second consecutive round. 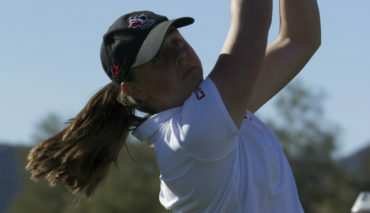 First round leader Kelsey Sear, from Unionville, Ont., is third at 3 over par after a second round 78 (+6). Rounding out the top-five is another Mississauga resident Michelle Ruiz who is tied for fourth with Currie at 5 over par (75-74). 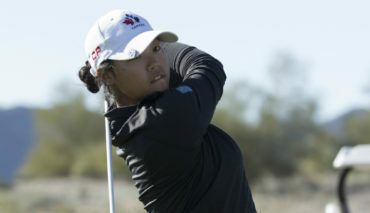 Currie’s Development Squad teammate Monet Chun is T9 at 8 over par (71-80).